Are you looking for spinal muscular atrophy type 1 home support services? Do you have complex care needs requiring spinal muscular atrophy type 1 home care assistance? 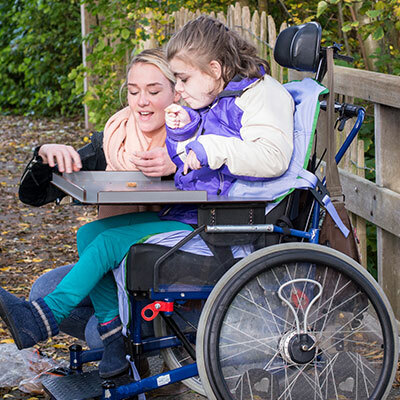 Through our many years of experience, we appreciate how difficult a diagnosis and living with this condition can be, which is why we’re on hand to provide spinal muscular atrophy type 1 home support services designed for your needs. We can deliver spinal muscular atrophy type 1 home care assistance that caters to your individual situation. We can provide quality care as well as support you with everyday activities that may be difficult to manage alone. At Beacon Support, we will work with you to design spinal muscular atrophy type 1 home support services tailored to your individual needs and the stage of the condition. We know that spinal muscular atrophy type 1 (also known as Werdnig-Hoffmann disease) can affect each person differently. You can be assured that our breadth of experience and knowledge of this condition means we have the expertise needed to effectively support you. Regardless of the challenges you are facing, we can provide the specific help you need, and coordinate with other services if needed. Our spinal muscular atrophy type 1 home support services are built on a commitment to delivering highly skilled support you can trust. We have a focus on ensuring you feel safe and supported every step of the way with quality care and understanding. No matter what happens, we know what to do and will approach everything we do professionally and with empathy. Your spinal muscular atrophy type 1 home support services will be delivered under the supervision of a Registered Nurse so you can be assured you are receiving expert care. We are also a registered NDIS provider. Call us today at 1300 435 782 or contact us via our online form for a consultation and information about spinal muscular atrophy type 1 home support services.